Wes Finley, Director of Global Operations at Coca-Cola is just one of the 25+ keynote speakers set to present at the Big Data & Marketing Innovation Summit, which returns to Miami this fall. Big Data metrics enable you to gain a more complete picture of a target audience. Innovation Enterprise announced today that Wes Finley, Director, Global Digital Operations at Coca-Cola will be a keynote speaker at the Big Data & Marketing Innovation Summit, being held at the Eden Rock Hotel in Miami on November 5-6, 2015. Finley has worked on hundreds of social focused marketing campaigns for the Coca-Cola Company. In his presentation “Smarter Marketing through Social Data,” Finley will discuss the highs and the lows of Coca-Cola’s experience in incorporating real-time data into traditional marketing practices. Diving into Coca-Cola’s unique programmatic media theories, he will explain how, through testing, they have been able to generate more efficient marketing through measurement and metrics. The Big Data & Marketing Innovation Summit brings together thought-leaders from various industries for an event acclaimed for its interactive sessions and high-level speakers. 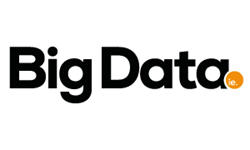 Focusing on the latest innovations in Big Data marketing, 25 industry leaders will show how new technologies are providing businesses with more methods than ever before to tackle data and related marketing efforts. Case studies will detail how these efforts lead to better results. Included among the speakers is JT Kostman, Chief Data Officer, Time Inc. Kostman’s presentation, “Big Data – The Cutting Edge of Modern Marketing,” brings deep insight into consumer behavior through his experiences as a Data Scientist, Mathematician and Psychologist. Also presenting is Chandler Wilson, Director, Insights & Analytics at Walmart. Wilson is in charge of methodology and implementation of corporate affairs intelligence & analytics systems. In his presentation, Wilson will show, that by bringing together disparate data sources such as social, web, and internal intelligence, businesses can produce extremely accurate data on forecasting risks, and detecting fast-rising opportunities. Innovation Enterprise, a CFO Publishing company is an independent business-to-business multi-channel media brand focused on the information needs of Senior Finance, Operations, Analytics, Big Data, Strategy, Digital, Innovation & Sports executives. Products include the Channel, Summits, ieOnDemand, Webinars, Whitepapers & more.